Summer has already gone, hower I must show you these pictures with this Sheinside jumpsuit. It has an unlikely combination of colors, which is great for summer with tanned skin. Havea great weekend everyone! O Verão já acabou, eu sei, mas tinha de vos mostrar estas fotografias com o macacão Sheinside. Tem uma conjugação de cores improvável, mas que fica muito bem no Verão com pele bronzeada. Um bom fim-de-semana a todas! love he dress and the bag! 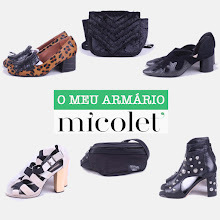 Muito gira, as sandálias são lindas ! Many companies will require that the client be a commercial one or a government agency. Since this loan comes under home improvement section, the repayment options are also easier compared to other loans. What are some of those key elements in inventory financing. a required amount of financing. Love the vibrant colours of the pattern!